Guess who's getting her second set of locs installed this Friday? I know, I know. 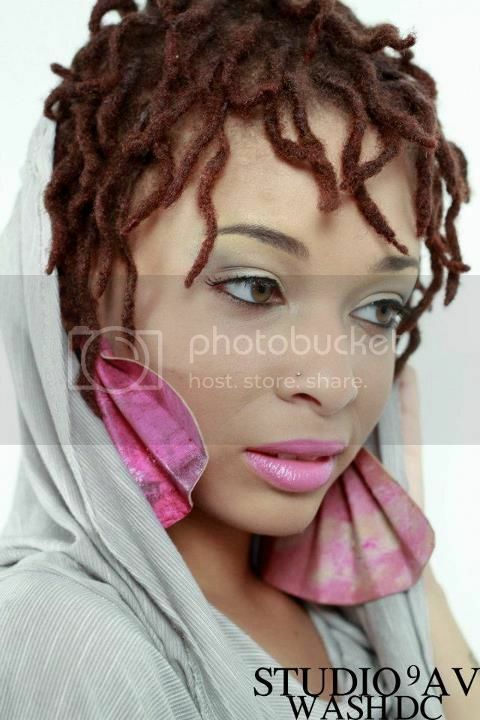 How does THEE LocRocker go and chop off her locs? Honestly, y'all...I've been wanting to chop them for quite some time. As much as I adored my locs, I just felt like it was time for change. They were getting long, hot and heavy. I missed feeling water on my scalp. 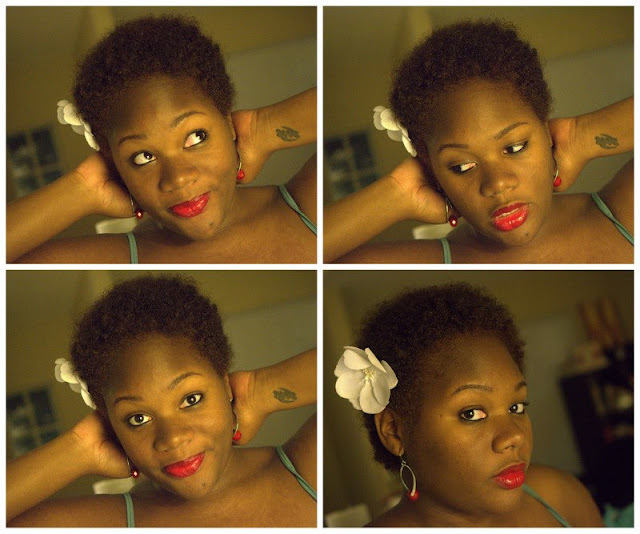 I wanted the TWA again. And so I woke up last Wednesday and just - chopped 'em. I have zero regrets. I've got a hair appointment next week to get the fro shaped up and colored and I am 100% sure that I will loc up again. Maybe this summer...and with a larger set. Call me nutty but I'm excited about starting a new set and sharing it with y'all again. What does this mean for Loc Rocker? It means nada. The site will still be up and running. In fact, I am working on a cleaner site with better navigation. 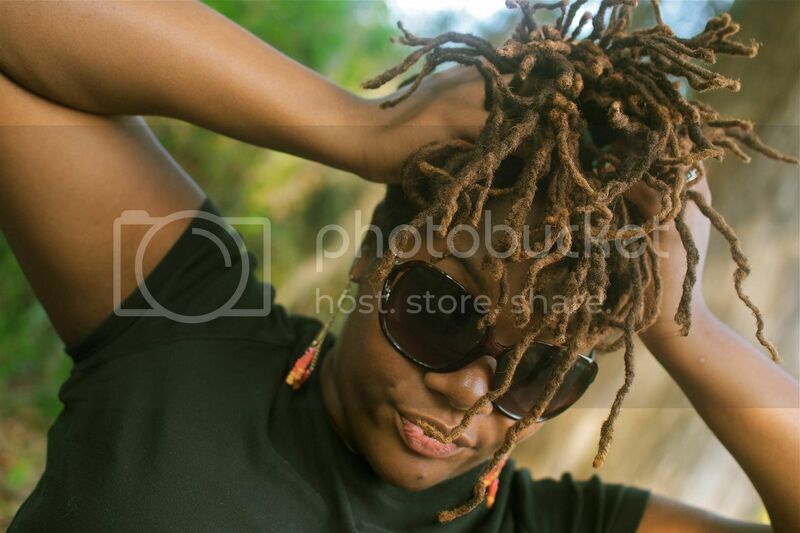 I hate that I left LR stagnant for so long but it's just proof of how I just wasn't into my locs anymore. I rocked 'em for almost 5 years and they were beautiful. But - it's a new time and new season and I felt like they needed to go. OH! And in other news - my daughter was born and is now almost 3 months. I do updates of her here. If you are interested in contributing to Loc Rocker in any way, please don't hesitate to let me know. Surprise! I actually did a hairstyle. How awesome am I? ;) This is a big deal because lately I just haven't been "into" doing my hair. I did pipe cleaner curls a few weeks back and they lasted forever. After those, I just felt...uninspired. And lazy. 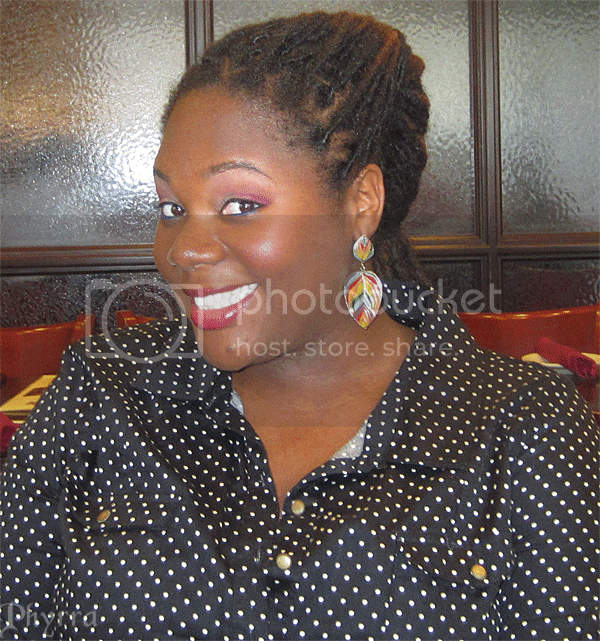 The other day, I cranked out 2 flat twists for a Beauty Blogger of Central Florida meetup. Not too shabby, uh? 'Twas such an easy style so I won't even bother with the technique. And I don't even know if it should be considered a "style" as it took me no more than 2 minutes to do. It was hard getting those bobby pins to stay put. I had to keep re-pinning them to keep the 2 twists together. Lots of thanks to my sister friend Courtney of Phyrra as she was the one that captured these photos. 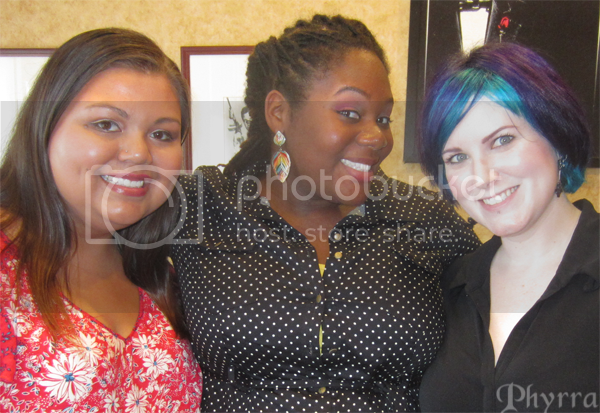 Also pictured is one of my other beauty bloggin' gal pals Judi of Judixo. My locs are so in need of some pampering. I want more color and I want a cut. A great deal of my thinner locs from the double headed dragons are becoming long and thin and I just want to get rid of them. I'd loose a good 2-3 inches of locs but I'm okay with that as length has never been a big deal to me. I am still struggling with the trying to beat the urge to shave my head. Ha! Oh! And I am almost 6 months pregnant. I know, riiiiight?! I've been documenting the journey on Clumps of Mascara but never formally told my Loc Rocker fam. After our baby girl arrives, I'll be anxiously trying to step foot at my loctician's salon for some pampering. 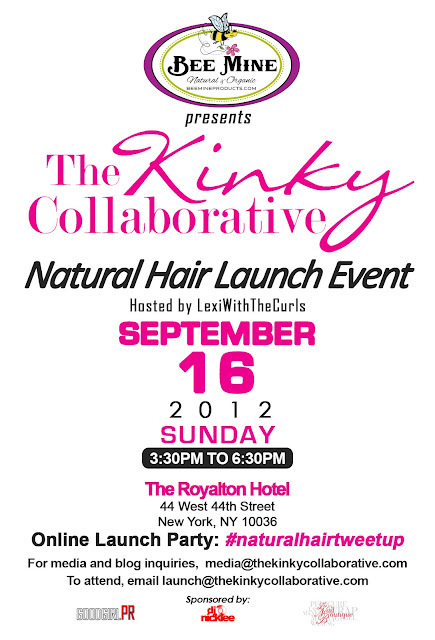 Hey chicas...there's a pretty dope event happenin' in Brooklyn. So wish I could make it because I've been fan of the gorgeous Lexi of LexiWithCurls.com for a while and would love to meet her in person. I am forever searching for gorgeous loc'd photos but y'all know how I am - unless there's a watermark or noticeable source, I'm not touching 'em. 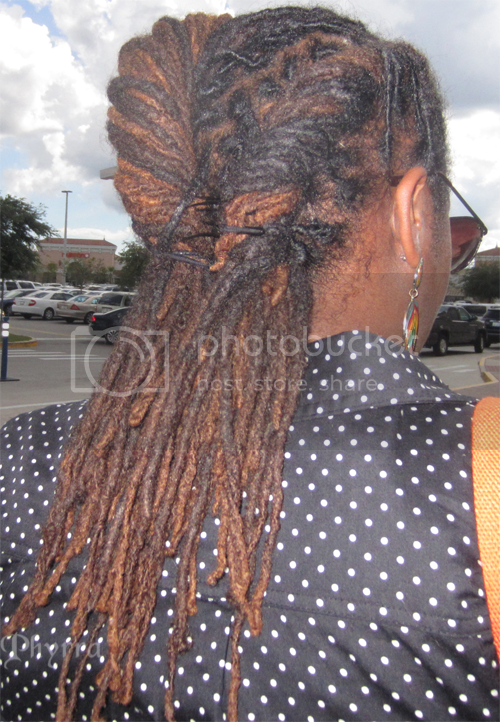 But when I strolled through Tumblr and saw these beautiful lady, her locs AND a watermark, I just knew I had to share. Short locs rock. 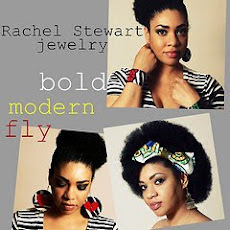 And they are 10x cooler than the long locs I'm rockin' right now. You know...with this heat wave plaguing the city and all. I still answered them. Below are some of the few that I've gotten over the past few months. of your journey that you STILL use? and mama be on a budget. So yeah. I'm using different products all the time. 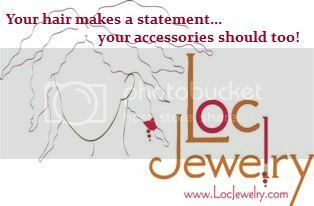 to your loctician from time to time? I've seen a lot of imitators out there but her dolls look the best. 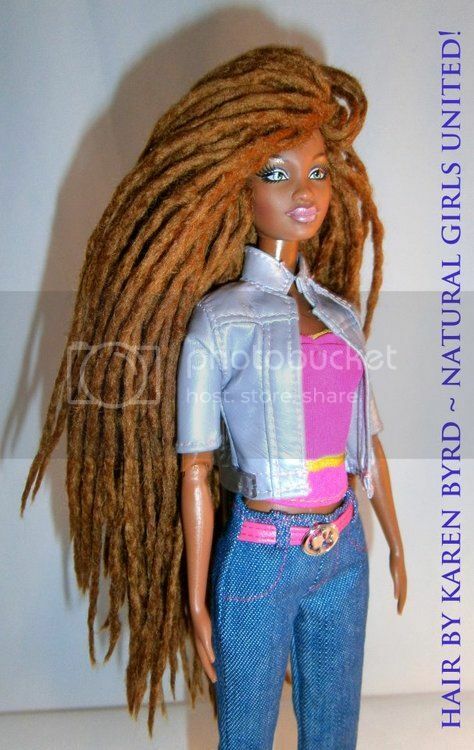 I've got a Barbie with an afro but soooooo need to add this one to my stash. Beautiful, ain't she? Check out some of her other dolls here.